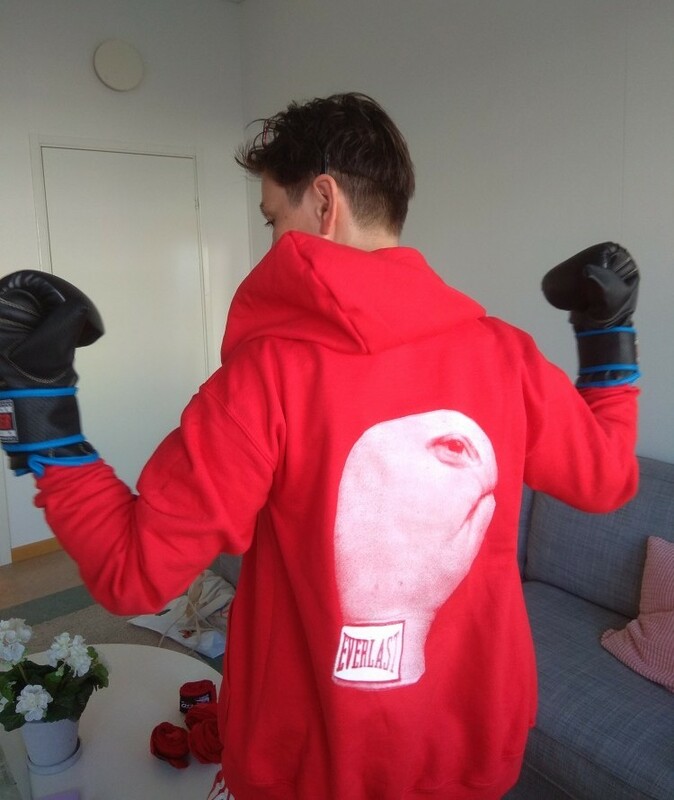 Hoodie produced by AND for boxing training classes at Marabouparken in Stockholm in 2018. The glove printed in white is on your back, so it sends a clear message when you turn round. 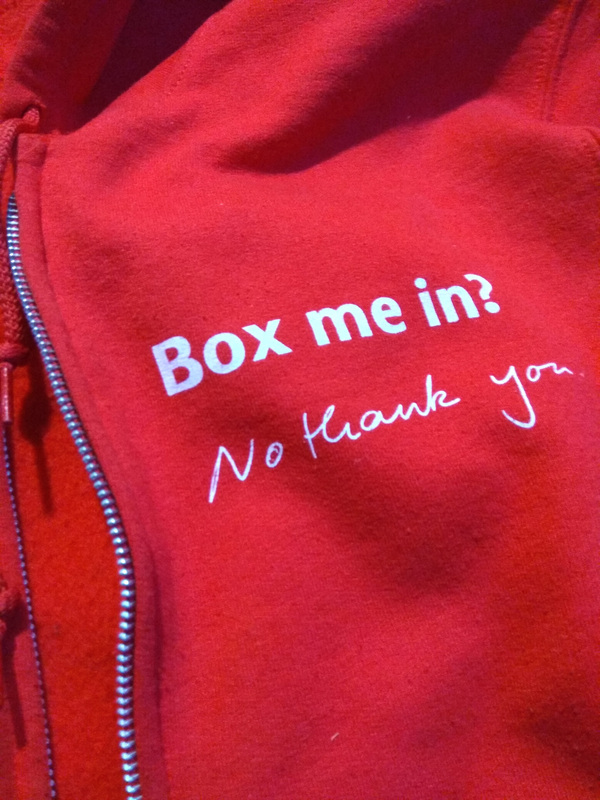 On the front it says BOX ME IN – NO THANK YOU, a quote from the society for Cutting UP BOXES manifesto. Screen printed by Do Make Say Ink in Birmingham on Gildan Unisex Hoodies with metal zipper.